Infections can work their way into your gum and bone over time, and they can be painless so you could suffer from gum disease without being aware of it. These infections can gradually weaken the tissue that supports your teeth, which can lead to serious health complications such as lost teeth and bone damage. 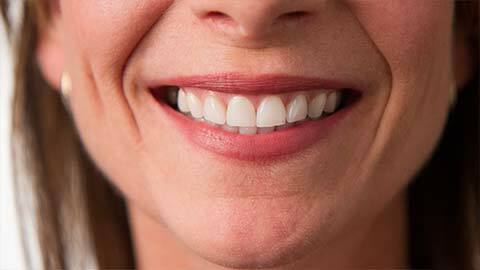 To prevent and treat gum disease, Tacoma Dental Centre offers several periodontal treatments. Scaling and planing are methods to remove plaque and tartar from the roots of your teeth. Unfortunately, teeth can become so unhealthy that they need to be removed to prevent them from becoming a risk to your dental health. We perform extractions and offer counselling on post extraction care and tooth replacement options. After a tooth is extracted, it's necessary to protect the integrity of the empty socket and the surrounding bone by restoring or filling the socket with replacement material. Gum grafting involves grafting gum tissue from one part of your mouth to another. It's normally used to repair receding or damaged gums. Infections can create small "pockets" between your gums and the roots of your teeth. These pockets can harbour bacteria and become infected. This procedure involves reducing the depth of the pockets so they're easier to clean and less prone to infection. Sometimes it's necessary to expose the root of a tooth to treat an infection or repair damaged tissue. Flap procedures involve pulling back the gums from the root to allow treatment and then reattaching the flap with sutures. For conditions where the connective tissue on the inside of your mouth (such as the piece of skin connecting your tongue to the bottom of your mouth) is too tight or becomes painful, we can surgically remove or modify the tissue to relieve the discomfort. There are always bacteria naturally present in our mouths. They normally don't present a problem, but over time they can build up and form plaque and tartar on our teeth. If we don't keep our teeth clean by brushing, flossing and getting regular cleanings, the buildup of bacteria can cause serious infections and gum disease. Gum disease can lead to serious consequences for your health. The best treatment for gum disease is prevention. Always brush and floss and go for regular cleanings. If you suffer from sore or bleeding gums, or if you want to learn more about what you can do to reduce your risk of developing gum disease, contact our office for an appointment.